My Care Academy is currently developing an e-learning module on the Care Programme Approach (CPA) for Barnet, Enfield, and Haringey Mental Health Trust as part of core learning for staff. We started to scope this unit of learning by working with staff to capture their experiences of CPA. We wanted to highlight the good practice and share this across the Trust, promoting consistency of excellent care. Part of this process included spending time in clinical areas to gather the experiences of service users as well as from our expert reference group members. 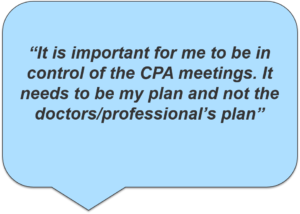 From this process, three themes emerged; before, during and following the CPA meeting. Another theme that resonated with staff and service users was the need to go back to basics, therefore ensuring that all staff and service users understand the process of CPA and know what best practice looks like. Have a conversation with the service user prior to the meeting to discuss their aims, review their care plan and agree who will be attending. Would they like an advocate to be present? For those who are attending the meetings, what information would be helpful for them? Agree on a seating plan with the service user, as this can help reduce any anxiety a service user may feel prior to the meeting. Remember, the CPA has not begun until the service user is present. It may feel uncomfortable for them to walk into a room full of people. Having agreed an agenda is important to make sure all key points are discussed. However, allowing flexibility if the service user wishes to raise any new concerns or points. 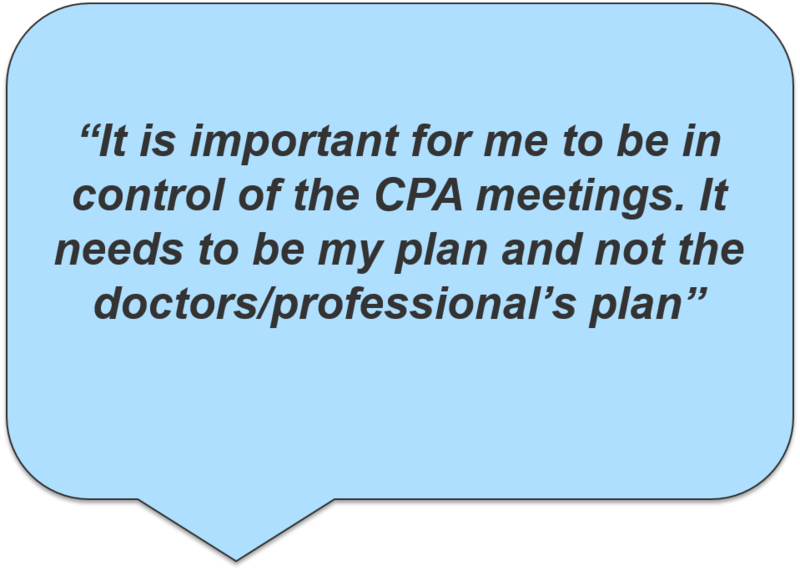 This will also help when devising a clear plan for what will happen after the CPA meeting. 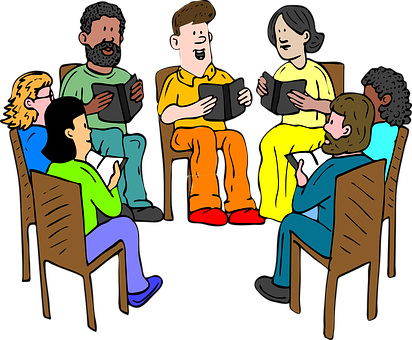 The language used during the meeting needs to be within a recovery/strengths-based model and free from jargon, as this can feel isolating for other attendees. The service user is at the centre of their care and this is the focus of the entire CPA process. In our scoping for this unit of learning, we were able to identify excellent examples of best practice which we’ll continue to share across the Trust.